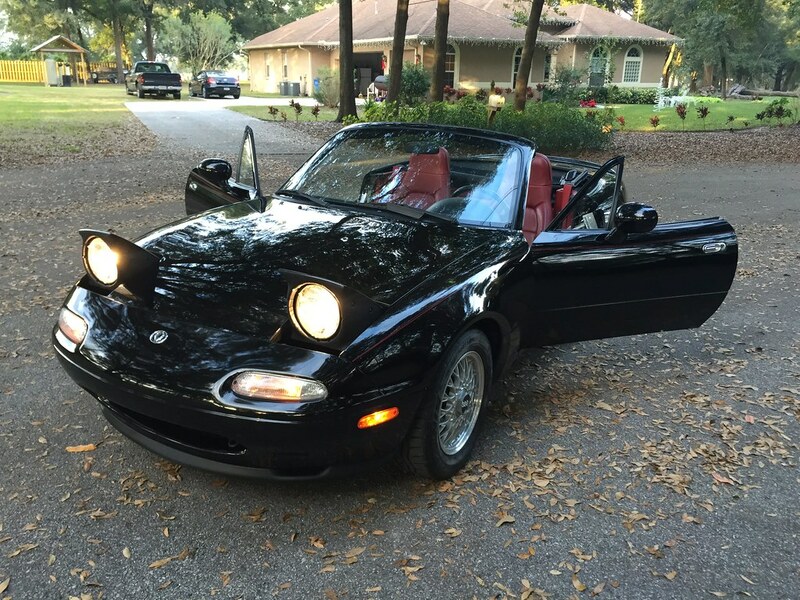 Anyhow, here is my recently acquired 1993LE Miata, it came factory fresh with super low miles 8,800 or some madness. 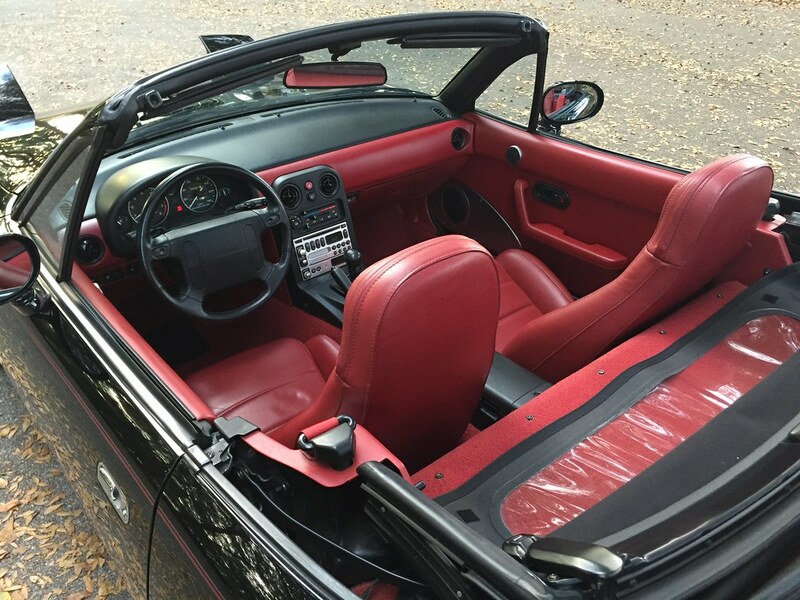 (not bad for a 19 year old car ) The prior owner was from south florida that never drove it in the rain, always kept in a garage under a car cover and only hand washed it. 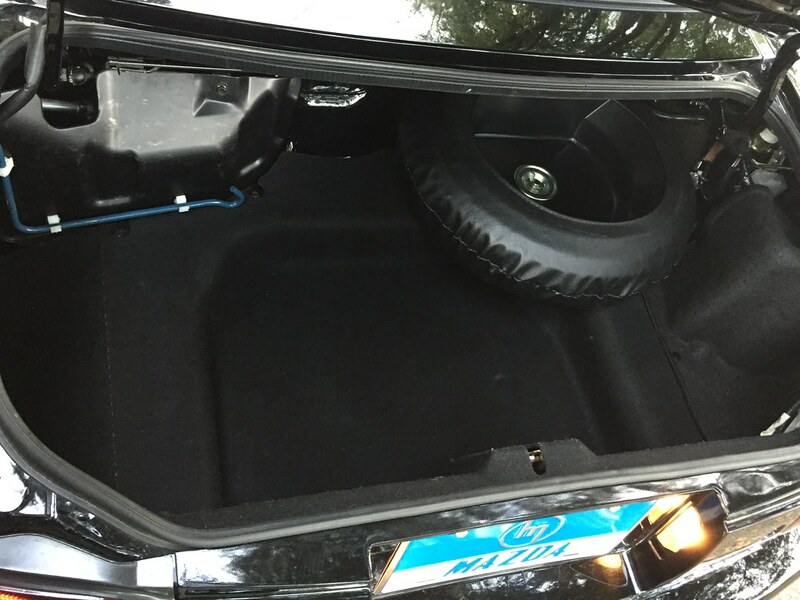 I spoke with him on the phone about the car briefly as I had questions about the Sebring SuperCharger that was installed on it. He told me he bought it new and drove it to mazda and had them install it for him. Anyhow, I saw this car and just fell in love. Here is the ad with photo as it read. 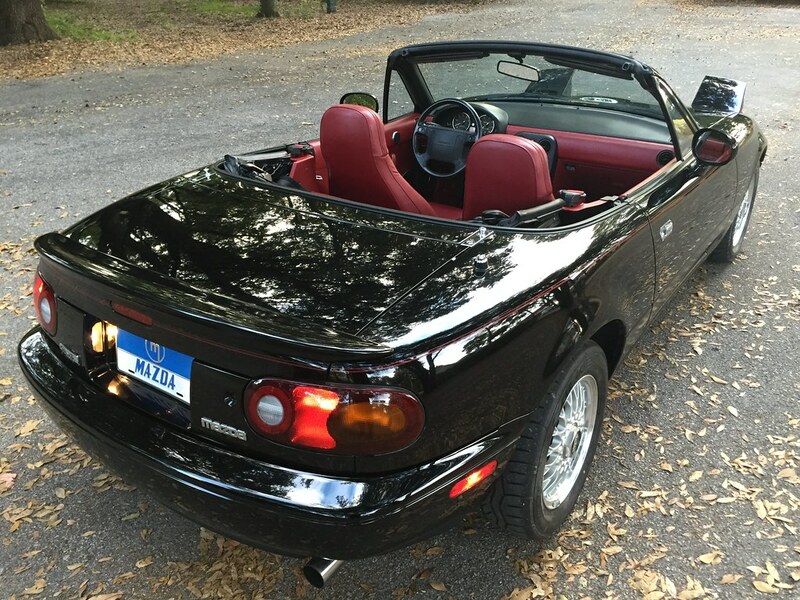 1993 LE Miata with 8,800 Miles. 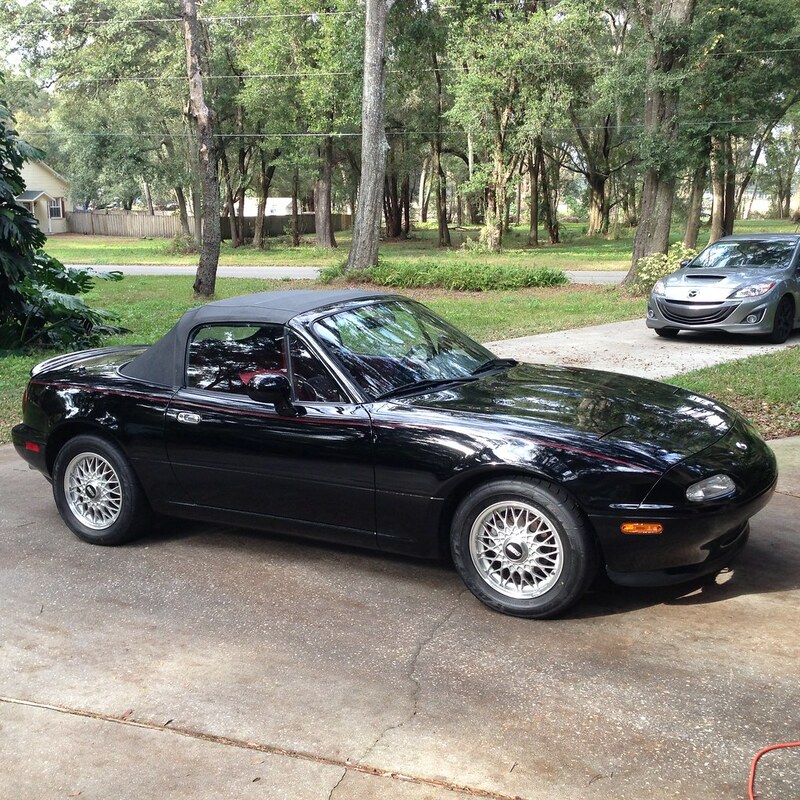 Supercharged by Mazda Dealership and One Owner car! 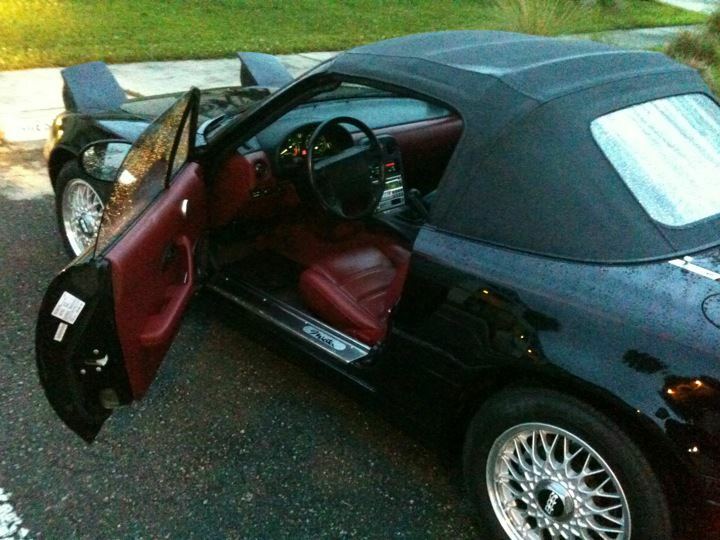 Original paint, panels, soft top. Original Bilstein suspension, BBS wheels. 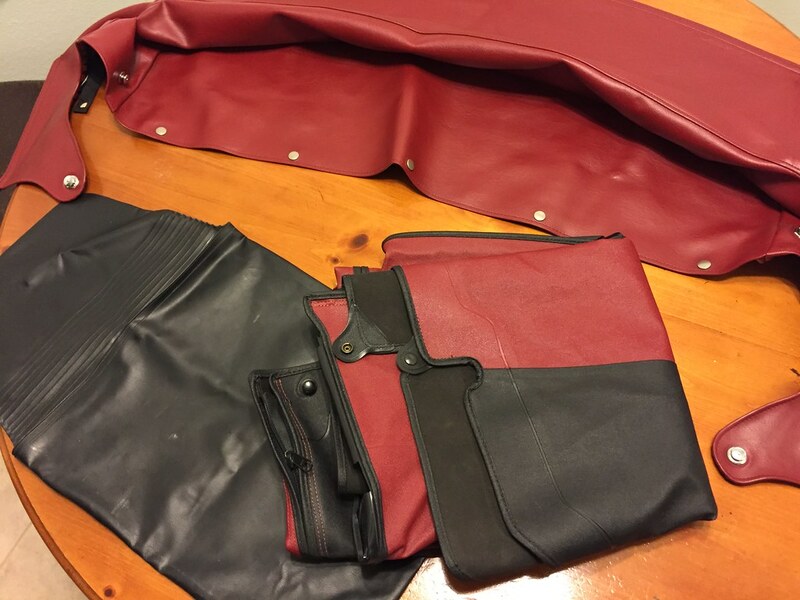 Has the full red tonneau cover, red boot and some swag (key chain, owners letter and books). 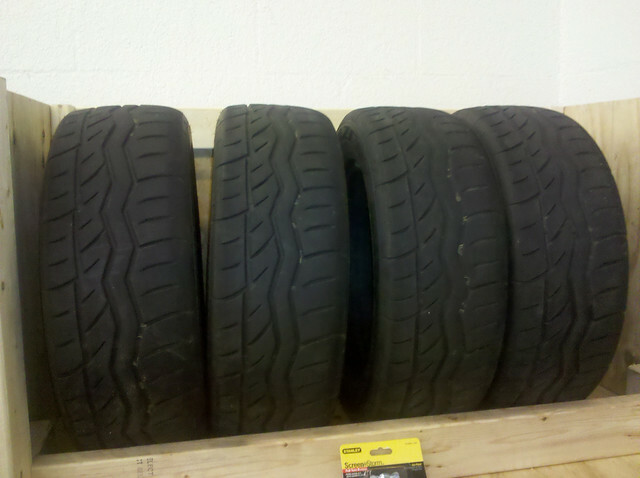 Oh yeah.... original Bridgestone tires as well (ha!). Hand washed only. Okay, so for the purists, its not unadulterated but it does move out quite a bit better than stock. Sebring Supercharger AND to really tweak the fundamentalists, it has a pin stripe. Its vinyl, so easily removable. Everything is stock and working. Cold R12 AC, quick windows, fast working power antenna, all back lights on the MSSS radio work (CD has been checked and works), cruise control works, power mirrors work like new, etc.. 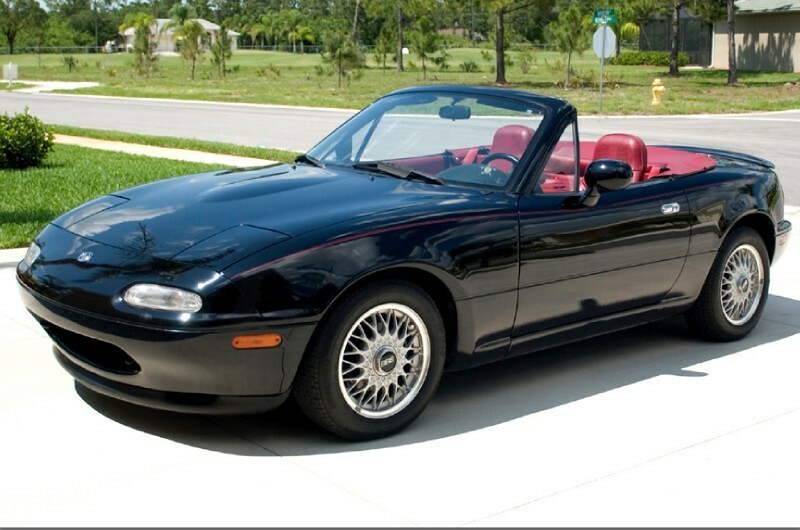 This color combo has always been a dream of mine, as my first Miata was a black and tan 1992-SE. Then I saw one of these and just always wanted one. Well guess what, I finally have one! woot woot !! Plans are to remove the supercharger and install a turbo, along with lots of parts I have leftover from my last build, the R2-Limited. Here is when I first picked her up!! So far the only thing I have done with the 1993 LE was remove the original 20 year old Bridgestone tires and install some fresh Falken tires. Falken Azenis 615K's 195/60 -14's got these from a friend in the local club who had them less than a month and upgraded to 15" wheels/tires. 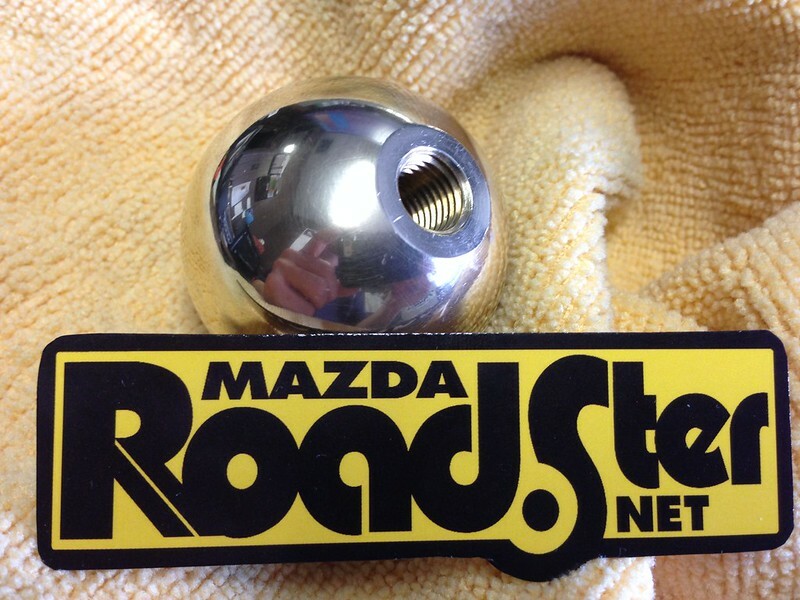 Got these from Rick at http://www.RoadsterTECH.net thanks man!! 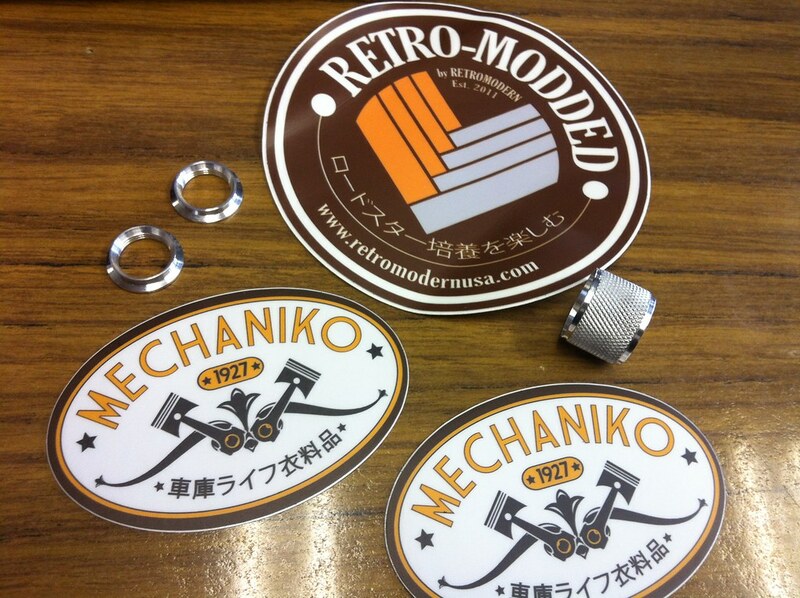 got some Retro Modded goods, loving the new "Mechaniko" sticker Ken!! once I sort out what I want the interior to look like I get these setup. 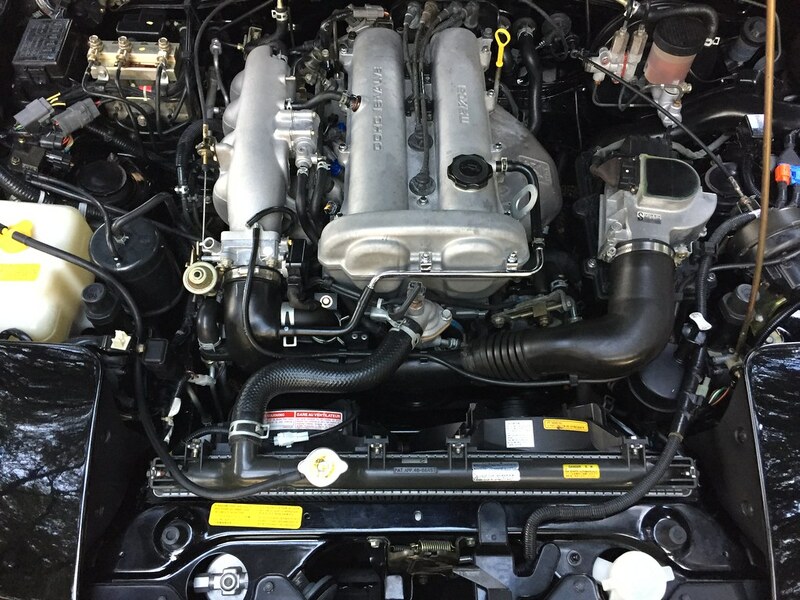 Supercharger removed, car is bone stock now. 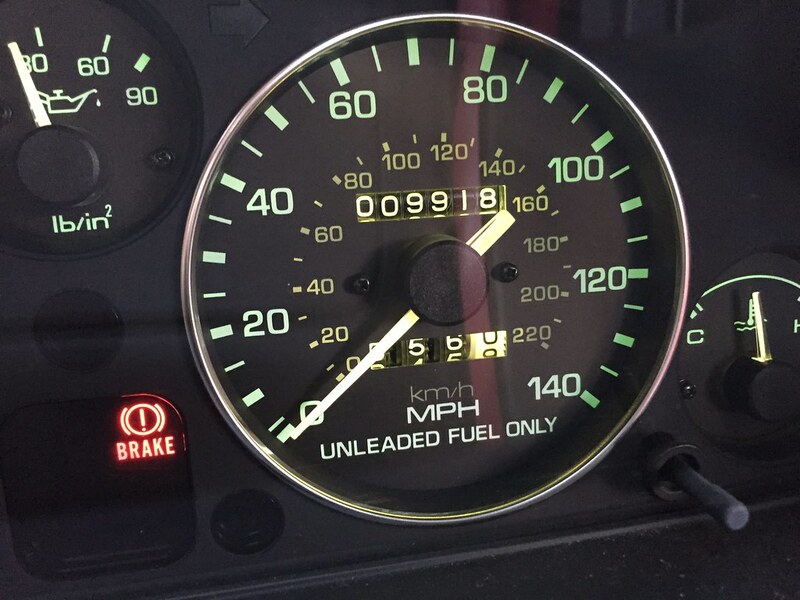 I had briefly considered selling the car as it had become increasingly hard for me to modify such a pristine example of this car, and I had a guy offer me 16,500 for it. However, after much debate with myself I realized I will never find another nice unmolsted miata so I might as well start with this one. I have been hoarding a lot of parts for the car so this build should be an interesting one to say the least. And it should piss off plenty of the purists as well. Anyhow here are some recent photos ……….. Paint and Body is a solid 10, car is flawless, not even a door ding to be found. Engine Bay all back to stock now since removing the SuperCharger, planning to install an FM2 Turbo in its place. Notice it still has the factory spark plug wires they came with from the factory. 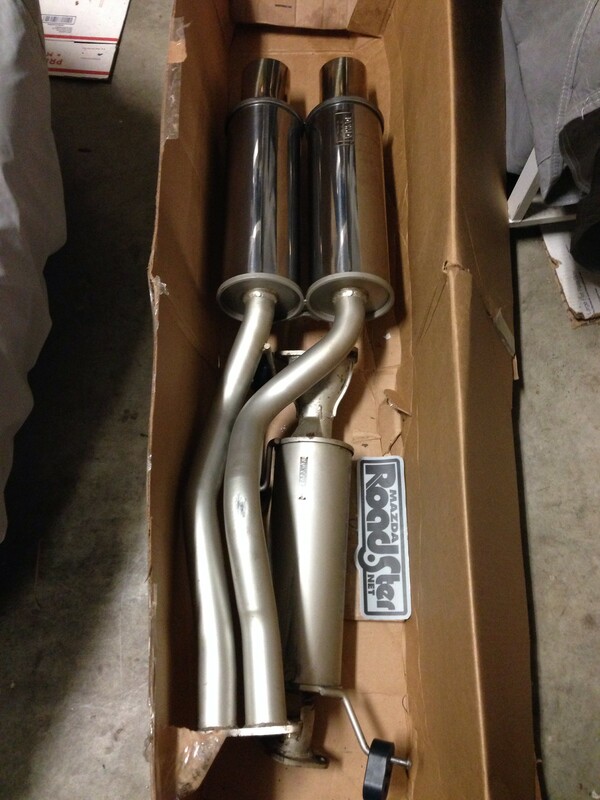 Ill be upgrading those to NGK Blues shortly. 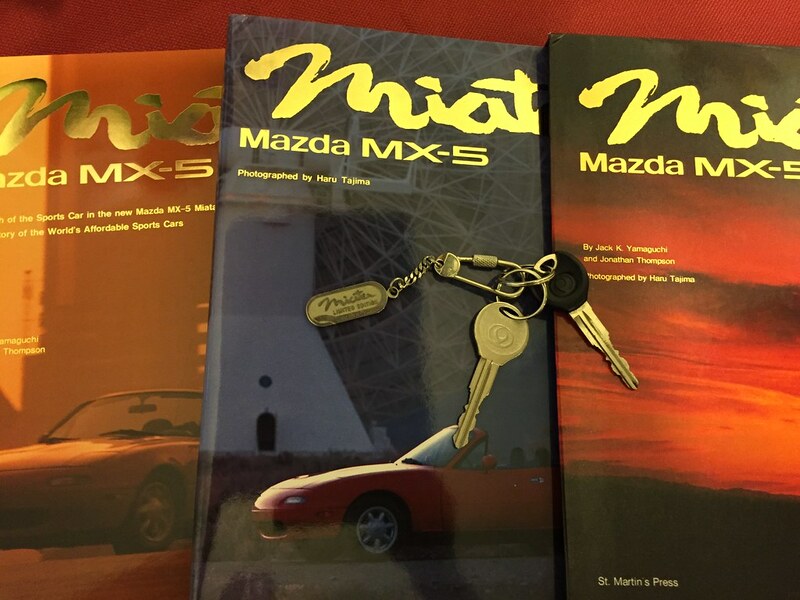 Came with all the Mazda Limited Edition Swag too!!! 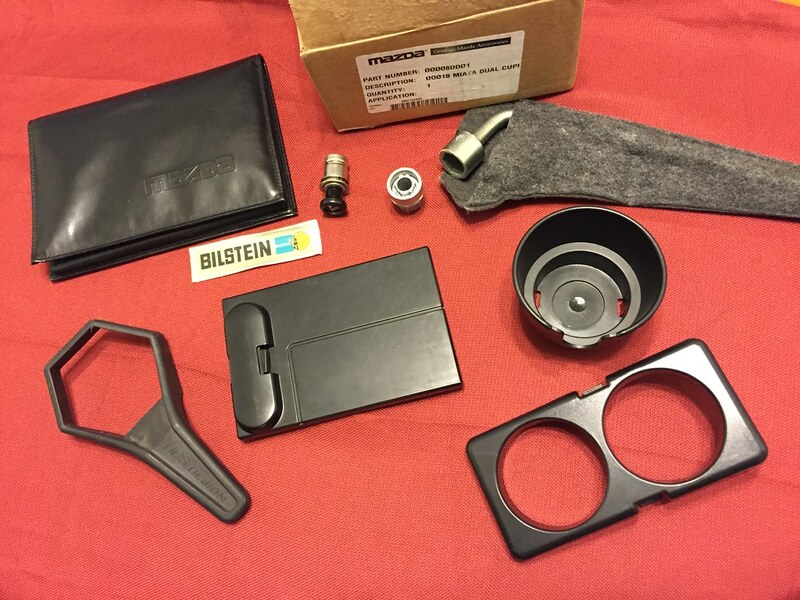 Red OEM Top Boot and cockpit cover look like they have never been used!!! ……………….. and so it begins ……………. Here is Kirin after a bath, washed the Mazdaspeed3 too. I hate your royal phatness so hard right now. 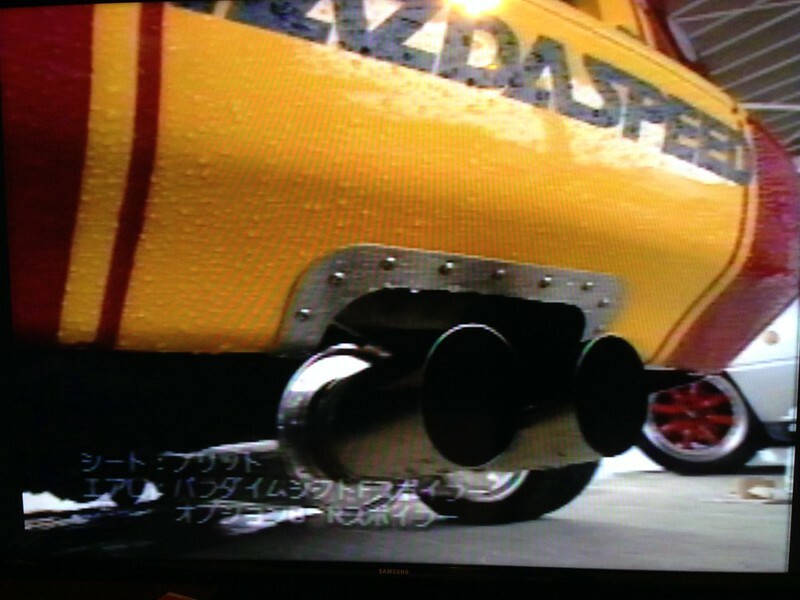 Eagerly awaiting for all of the rumored hella rare and super dope parts you have to go onto that car. I like a blank canvas when I start working, and don't worry, you are way ahead of me on your build, I have a LOT of catching up to do. Finally was reunited with my old St. Mays Shotgun Exhaust, however this will be getting some modifications to make the piping much larger for forced induction later down the road. Some of you guys will remember it was on my last Roadster, the R2-Limited. 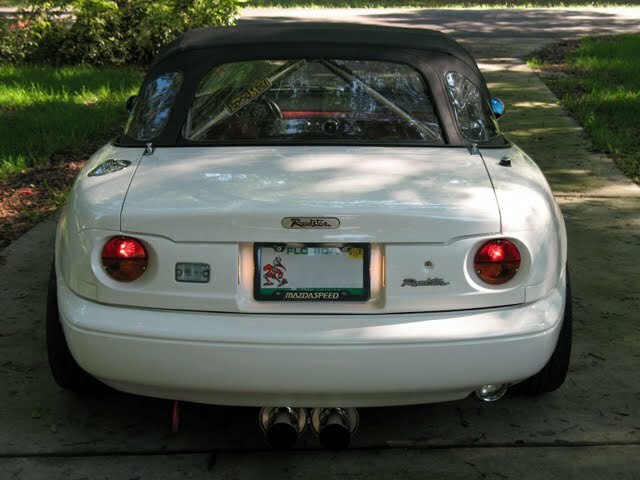 The goal is to make the piping from the cans back to the resonator larger to maybe 2.5 inch after I get the turbo installed, and then ill mock up something similar to this with a notch in the back bumper so that I can raise the cans higher and closer to the underside of the car. If you have ever owned the ShotGun you'll know it sits VERY low and I always worried about damage from road debris it I run over something on the road. Still, what I wouldn't do for original paint and a perfectly straight body like that. Oh, and you know, a mint 93LE. Great news! Looking forward to this. I think it's a great move. Most mods are reversible anyway unless you're planning flared fenders. 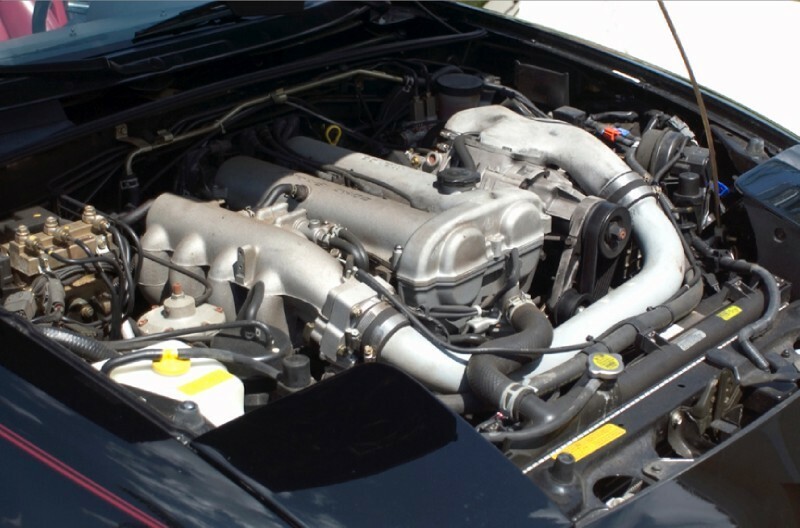 You've shown yourself that with the supercharger removal. Awww, man. what a beauty! Ugh so jealous. Beautiful example of a LE. We have the same tires. I found it, I did. It came to me. My own. My love. My own. 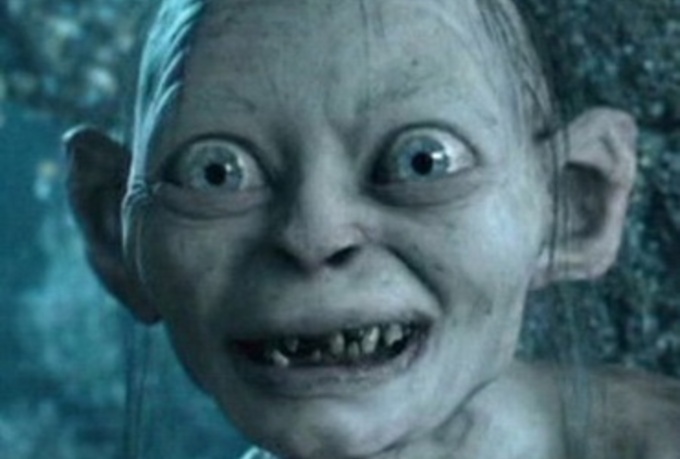 My precious. I thought it was lost but it was found and just dirty. The sphere needs more high speed buffing with buffing compound. There are to many mirco-scratches on the surface. 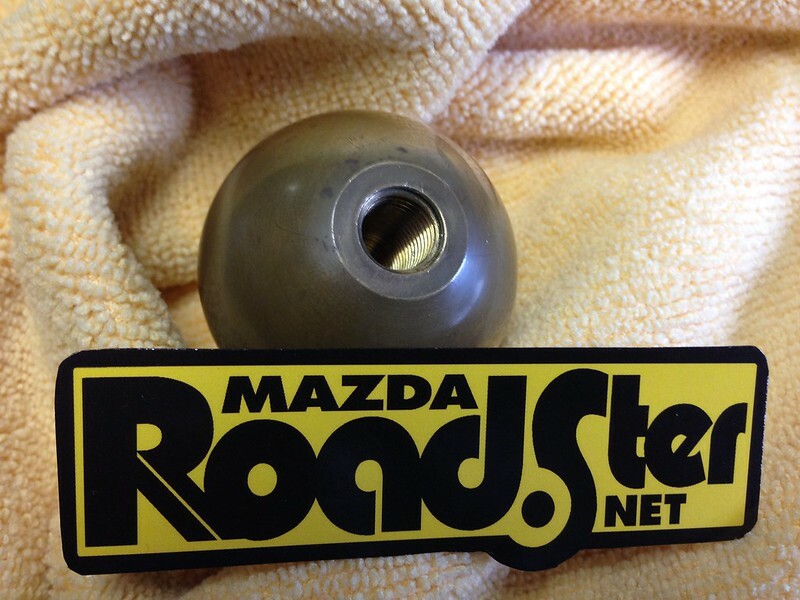 If polished right the shifter sphere will look like a mirror. That was a quick 10 minute hand polish. I don't have access to a polishing wheel anymore so I'll need to figure out how can I polish out those tiny polish marks and such. 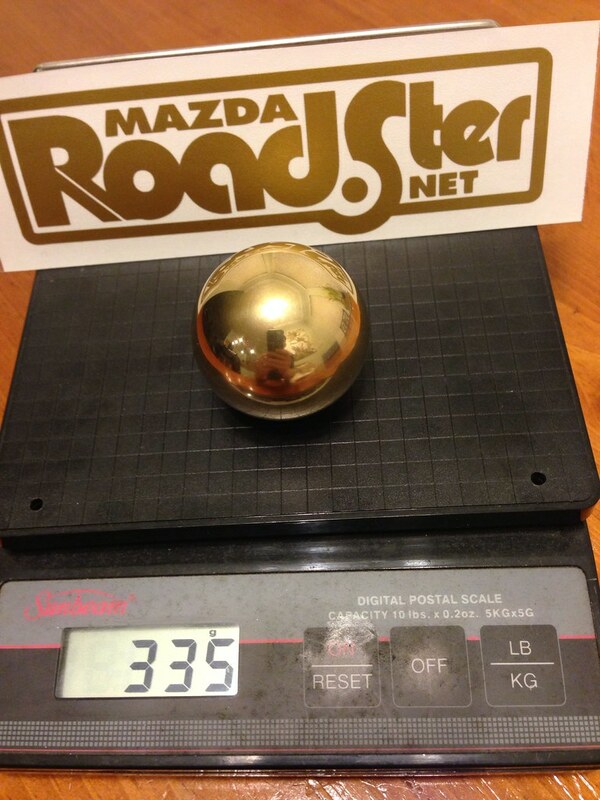 .... a little more elbow grease and put it on the digital scale, 335 grams, pretty heavy sphere!! Judging by the more yellowish color im pretty sure this is solid Brass, although it could be Bronze since they both will get that brown patina color over time and use, but I got this for the weight as well, and its really heavy in your hand! the plan is to use this with one of the Nielex consoles I have to add some contrast in the interior.